Turn up your favorite workout playlist and get to work. 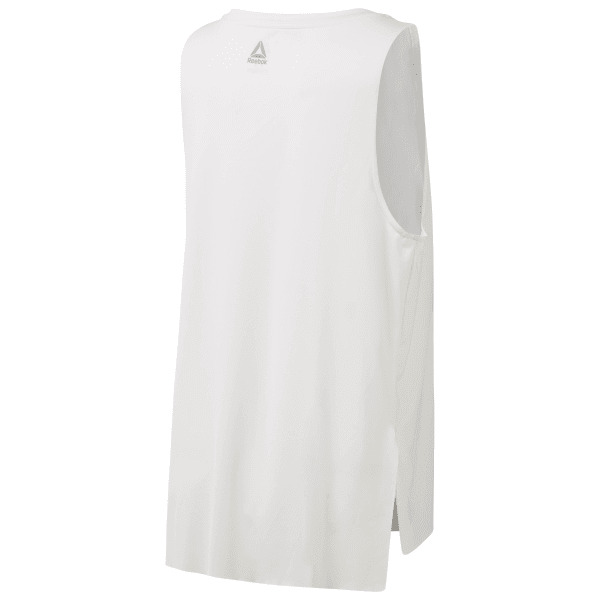 This women's Classic Muscle Tank dishes edgy style with function from breathable perforations and ACTIVCHILL technology. Plus, the longer length layers flawlessly over a bold pair of leggings for an eye-catching, studio-friendly look.